Yesterday you ran out on me. You were there when I woke up. Then all of a sudden, after breakfast, you were gone. I couldn’t run out into the street to get you; I was still in my pyjamas and there were buttons missing. So I lay down on the floor and cried. You made ME better, Butter. You stretched my imagination; do you recall the day I gently melted you into liquid and drank you from a cup? And the day you were there on my hot jacket potato. So much of you. It made me so happy that I went out and did marvellous things that day. I remember the night I lay in bed, waiting for sleep to come, when for no apparent reason I caught your sweet fragrance on the breeze and, knowing I had only a few short hours of rest before dawn, I arose and made an omelette just to spend a few stolen moments with you. 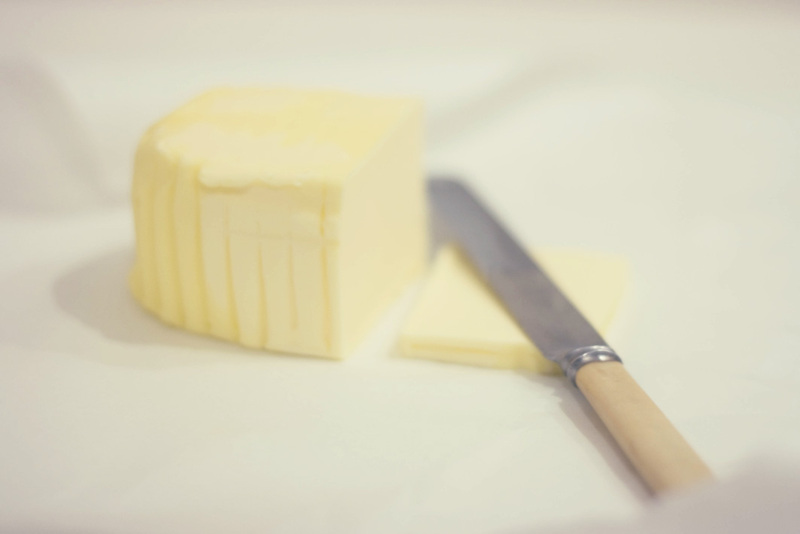 Oh Butter, these happy memories only harness the pain of your dreadful absence. Each time I remember you’re gone, I fall into rivers of woe. I cannot surface, you’re out of reach, the bread forlorn on the table rolls off in sorrow, hopeless it is without you. Seconds, no, minutes I must wait, to be reunited with you. Why, when we’re apart, does time take such uncertain steps? Let this anguish serve at least, to deepen my love. May I remain in awe of your silky majesty, forever. This entry was posted on Wednesday, September 21st, 2011 at 23:44	and tagged with butter, Cooking, Dairy, j'aime, letter, like, love, love letter and posted in humor, J'aime. You can follow any responses to this entry through the RSS 2.0 feed. I remain in awe of your silky majesty too.